As Thansgiving 2012 ends and the Advent season is a week away, I thought I’d reflect on what transpires in between. 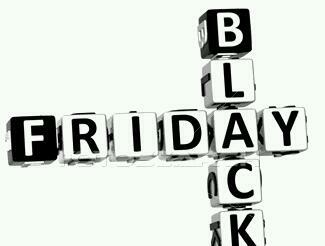 First up is Black Friday. While many get excited when this arrives – even plan routes, stores, and means of “attack” – I have only braved the early (early!) crowds once. Yes, that means one, uno, singular. Yesterday, I shopped but not at some inhumane time! I did some online shopping very late on Thanksgiving and went to three “bargain” stores mid-afternoon Friday. Second, the annual Christmas movie watching. 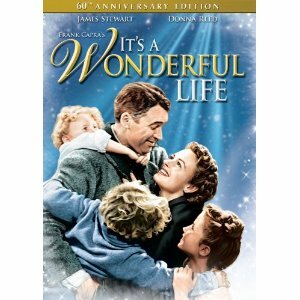 Our family began by watching “Miracle on 34th Street” and “White Christmas” on Thanksgiving. Friday we watched “Polar Express.” There will be more viewing opportunities to come as we settle in to watch “Prancer,” the Santa Clause movies with Tim Allen & especially “It’s a Wonderful Life!” Is the original “Die Hard” considered a Christmas movie!? My birthday always falls after Thanksgiving – so that means a pizza dinner. 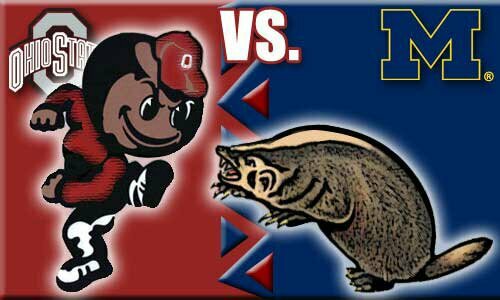 This year the annual Ohio State vs. Michigan football game falls after Thanksgiving. My family has a long history with the Buckeyes and being from Ohio, I will be cheering for the boys in red. Next Sunday – December 2 – will be the first Sunday of Advent. 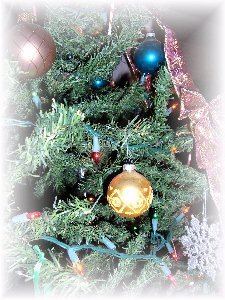 Our church Christmas Tree will be decorated and traditional Advent hymns will be sung. Sometime in the next couple of weeks, our home Christmas tree will be set up. When my children were little, they all decorated it while we took pictures. As they’ve grown up, the decorating has fallen to grandkids and which ever kids are here. It always is magical to watch the ornaments being selected and locating just the right spot for it amongst the branches of our artificial tree. Then it’s my job to pick out the garland. 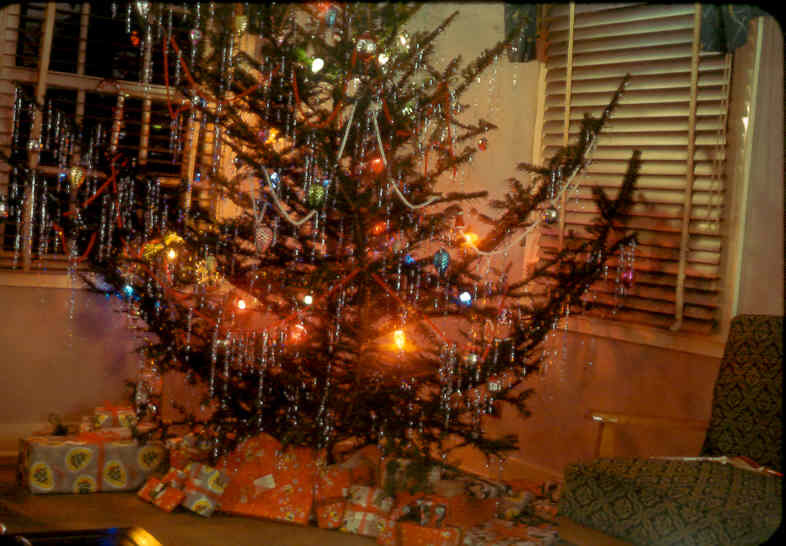 We’ve had tinsel, strand garland of gold or silver, pearl strands wound around the tree, and ribbon. Normally, an angel rests on top of the tree or a star. 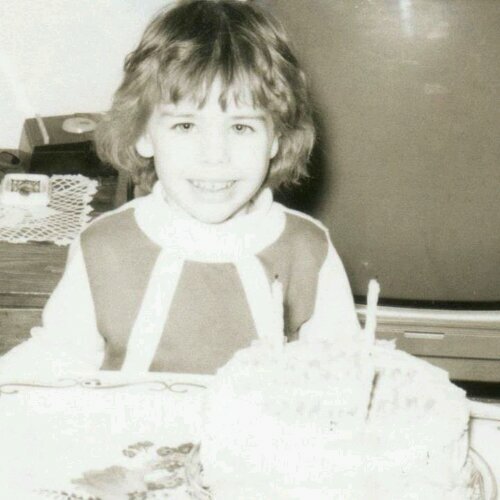 The year I used a giant red velvet bow was not looked upon fondly so I won’t do that again! By Christmas Eve the tree is ready for Santa’s visit. As I reflect upon our family’s activities and traditions, I wonder what my grandparents and great-grandparents experiences were. 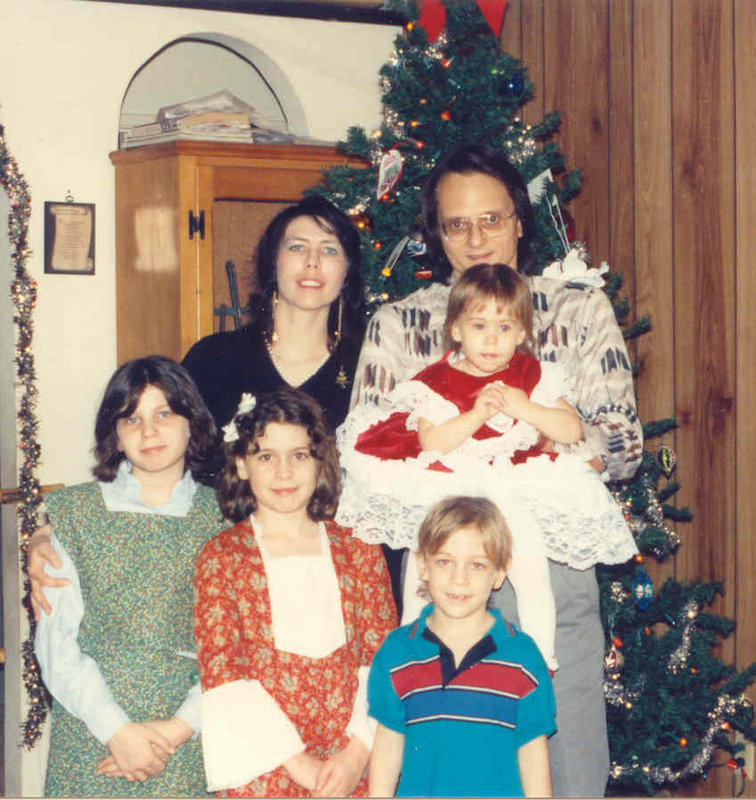 I’m pretty sure at the heart of the holidays was family – just as it is for mine. My husband gave me a Kindle Fire for Christmas, and I am LOVING it! I can sit on the couch with the kindle in my hands and listen to Pandora Radio (which I really like – especially the shuffle feature), scan the web, play Angry Birds (not very good at! ), and read books. However, the one thing I can not do at this time is write blog posts. WordPress doesn’t have an app that is compatible with the Kindle Fire. (Sad face) It allows me to get into my dashboard and click (or rather, touch) the New Post icon. I can enter a title but I can’t write a post. This post was started on my Kindle – well, only the title. I spent quite awhile scanning for an app that will work but nothing. Oh, well. Apparently there’s supposed to be one coming – when, I don’t know. I did download the Ancestry app which allows me to have my uploaded trees with me wherever I go. Handy if I happen to be at the library and come across something in a reference book. Then I can at least have the names and dates with me for guidance. So what new technology did you get for Christmas or Hannukah? How are you using it for genealogy? 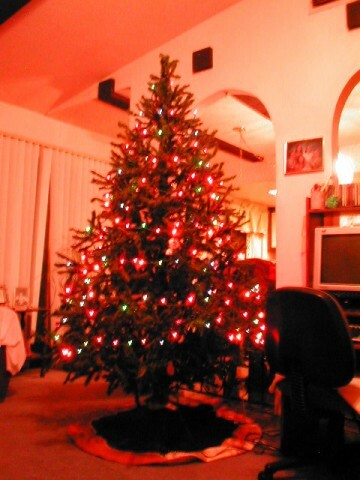 Our Christmas tree all lit up and decorated. 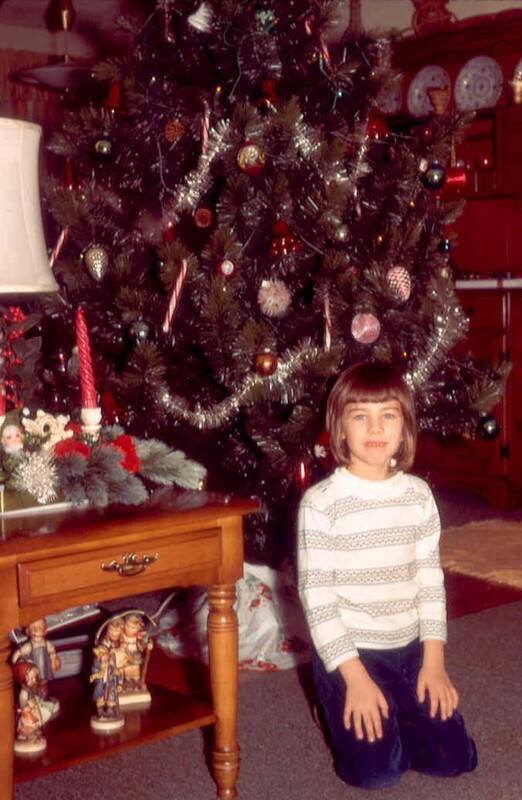 Santa had already arrived but everyone was still sleeping – except for my husband and me. We had gotten up early to make breakfast (me) and take our son to work (my husband) by 6 a.m. The poinsettia just to the left of the lower part of the tree was given to us (along with a second one) by our daughter and son-in-law. Our grandson didn’t wake up until almost 7 a.m.! Then we woke the rest of the household so we could eat the pumpkin bread I baked before unwrapping our gifts. Our grandson was quite excited to receive two video games from his Mom! 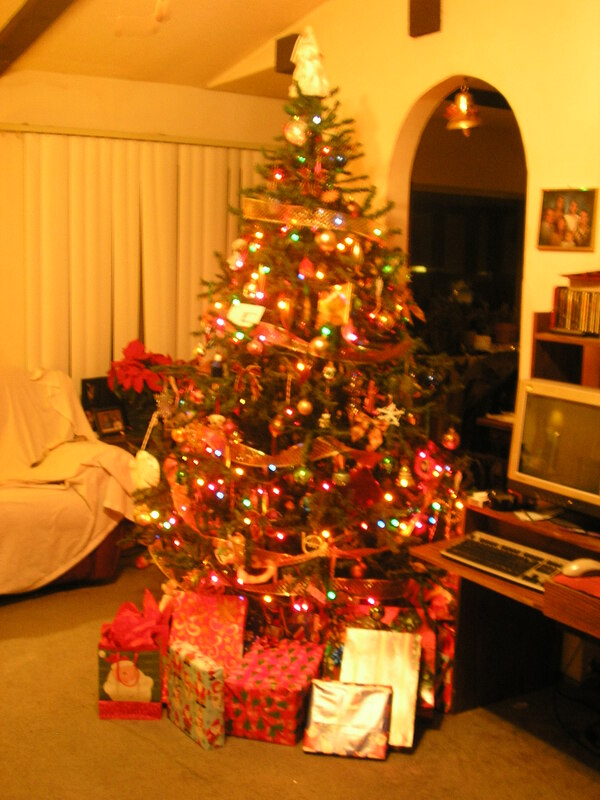 There were sundry other gifts – games, DVDs, clothes, toys, books, household articles. My mother-in-law gifted myself and my two daughters with hand-embroidered tea-towels with the days of the week on them. My youngest daughter was excited to receive one of her first “grown-up” type of household presents. My other daughter who was with us never expected to receive any other “hand-made” items from her grandmother (who had been ill for awhile – doing much better now!) and was overwhelmed by the gift. After our son got home from work, we opened a second set of gifts that my daughter and son-in-law had brought with them as well as my son’s gifts to him and his to us. I tried desperately to stay on schedule with the meal. Unfortunately, I had never cooked all the dishes on the menu at one time so I was a little off my game. Fortunately, most of the disruptions occured due to phone calls from relatives and grandsons eager to show Nana their toys or to give kisses. Dinner was so good that we ate way too much! Son-in-law sacked out on one sofa while the kids watched movies or played video games. I finally talked everyone into eating at least one piece of pie a few hours after dinner. By 9 p.m. I was so wiped out from being on my feet most of the day and all the cooking and excitement that I was falling asleep trying to read a new book (Stephen King) my husband got for me. I had to turn in and slept amazingly well! 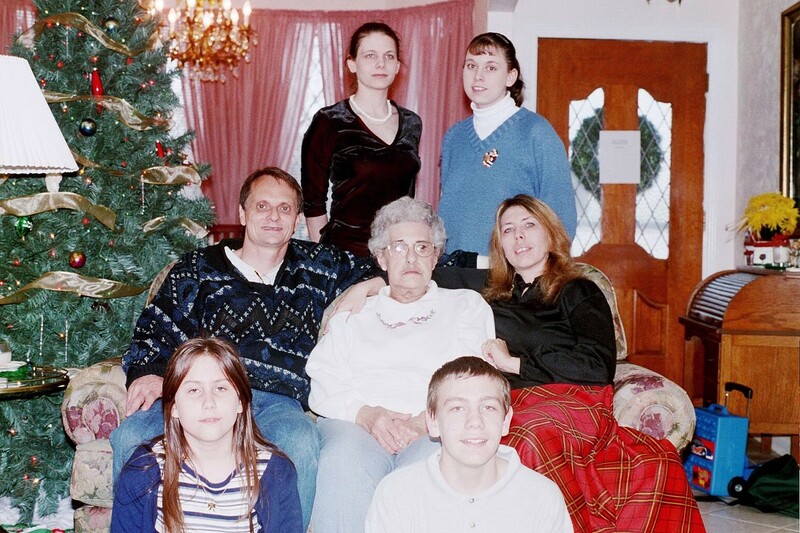 Our family had a wonderful – little warm – Christmas. Nothing compared to footnoteMaven’s in Washington State – who endured record snowfalls, power outages, and traveling white-knuckled to her daughter’s house for Christmas and then spending part of Christmas evening at their favorite Chinese restaurant that was open! For her Christmas story please go here.